White collar crime charges can destroy your career — unless you work with a diligent attorney to establish your defense. The criminal law attorneys at Fiore & Barber, LLC work hard to collect evidence and argue on your behalf. We believe in open and honest communication to establish a strong relationship with you, giving us the ability to make convincing arguments on your behalf. With our 29 combined years of legal experience, we know how to approach your case from all angles, forming a strong defense that improves your chances of keeping your career and your future intact. All of these charges could lead to significant criminal penalties without the help of a hard-working lawyer at your side. Let us work with you to protect your future. Dismissed cases. We fight to get your charges completely dropped. Less strict punishments. We seek reduced sentences or fines on your behalf. Hope. We guarantee unparalleled effort in your case to give you hope for a better future. Call the attorneys at Fiore & Barber, LLC today at 215-256-0205 or contact us online to arrange a free consultation visit. It is important to get in touch with a lawyer as soon as possible so that we can begin compiling evidence and building a relationship with you. We enjoy defending your freedom and stay in constant communication with you. 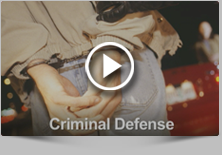 Let us stand beside you and give you the comprehensive defense that is your right.